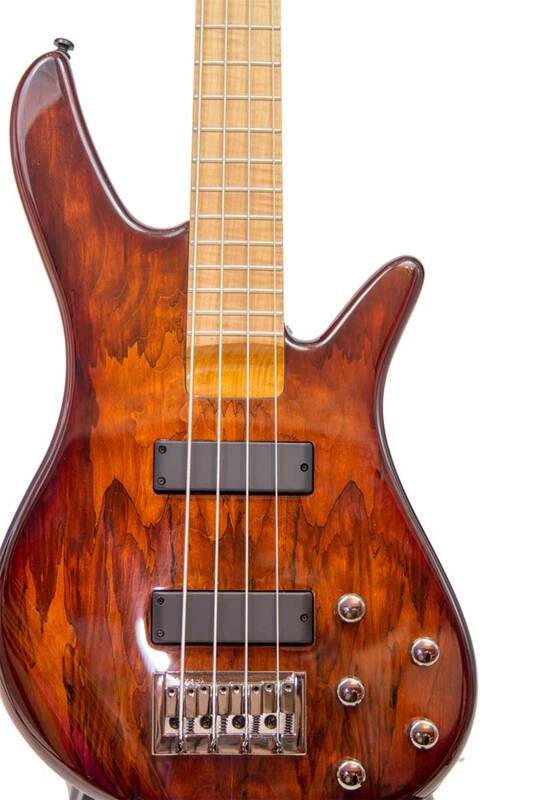 With a distinctive maple burl top, a baked flamed maple neck and black nickel hardware, the Pact Bass stands out in both looks and sound. It is fitted with the Evolve Pact (Passive & Active – see what we did there?) humbucker set with 3 band EQ. 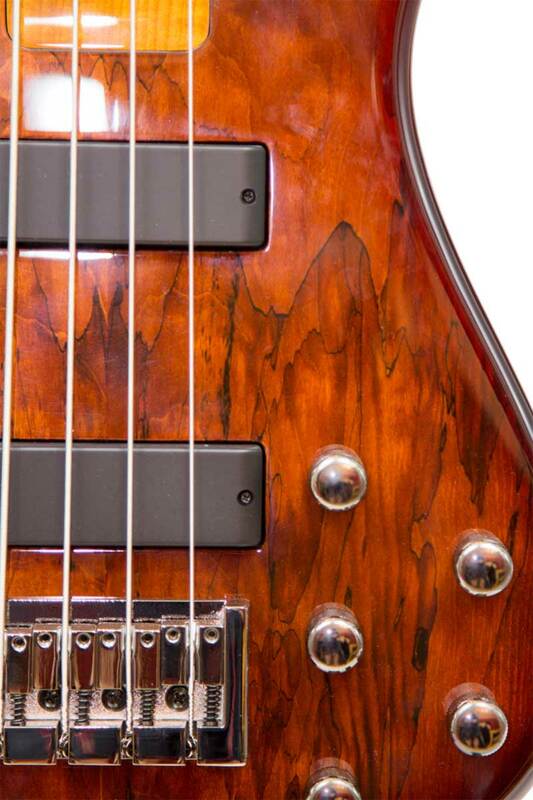 So this bass gives you both passive and active tones at your fingertips. Pull up the volume knob to engage active mode, which you can also use as a boost for when you really need to stand out in the mix. This also triggers the 3 band EQ so you can sculpt your sound. 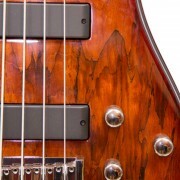 Although batteries for active pickups can often last years, having a combined active and passive set gives you peace of mind. 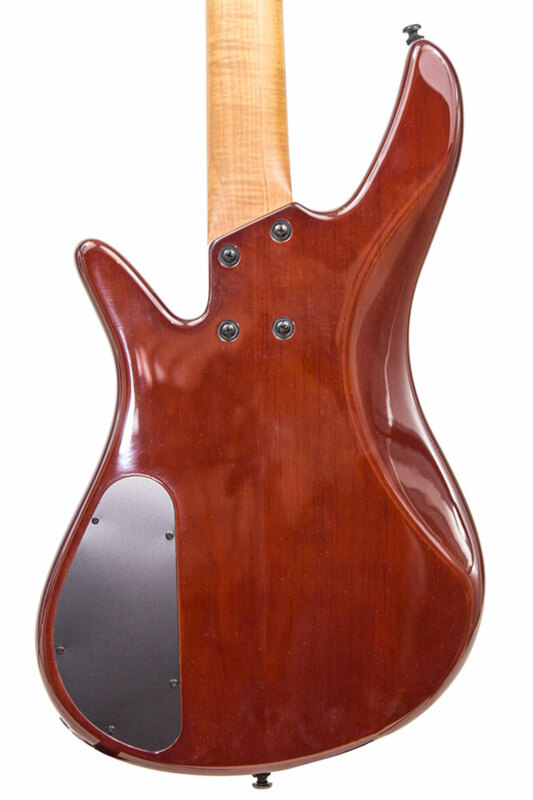 In the unlikely event that a battery died in the middle of a song, the passive pickups would see you through. 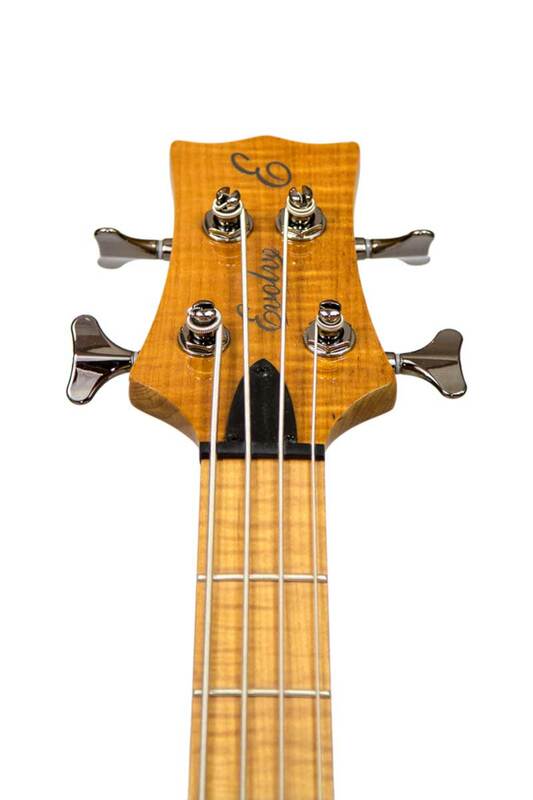 We’ve always had a soft spot for shorter scale basses so we have chosen what we think is the perfect scale length – 800mm or 31.5″. 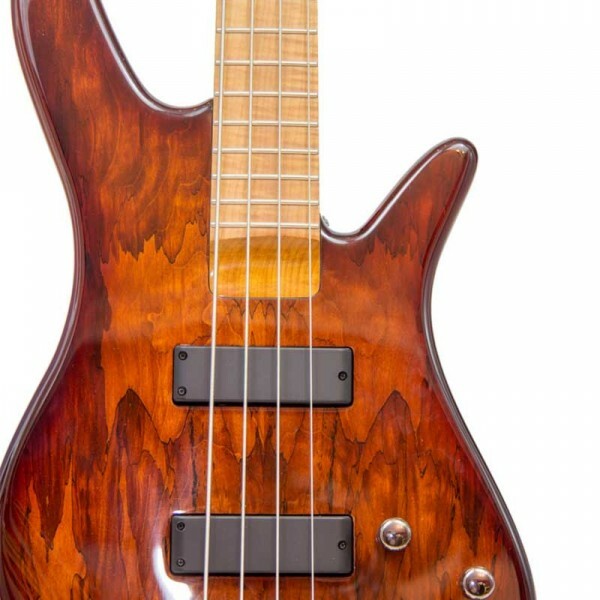 This medium scale length feels comfortable to both short and long scale players and allows for faster playing. 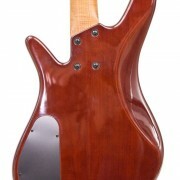 Because of the slightly shorter scale, the alder body is also slightly smaller, which takes down the weight, and this is further reduced by chambering. 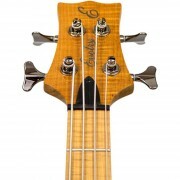 Unusually for a shorter than standard scale bass, the high mass bridge has 20mm string spacing, meaning players used to longer scale basses will immediately feel comfortable.